Save 20% on all Purchase! Copy coupon code and use it during checkout. Click the +ADD button for the track you’ve selected to simply start the checkout process. Don’t worry you can always go back and add more. You may selected multiple beats with the same licenses to automatically generate a current discount (see current deals above). Once you are ready you can complete the purchase right through the store above via PayPal. A PayPal account is not needed for purchase. You’ve never heard samples this good in your life! 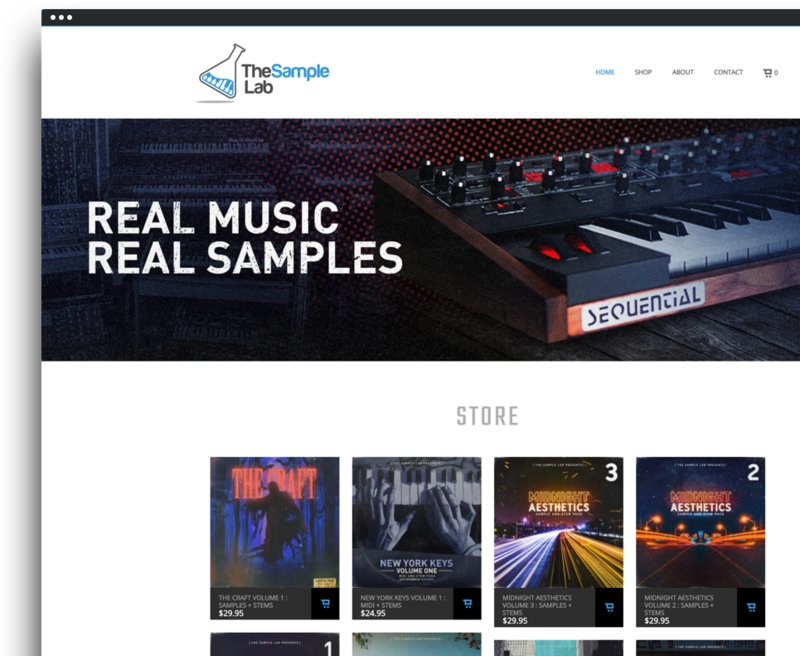 The Sample Lab is the kitchen behind some of the most unique and high quality samples for producers today. If you like rich and uncomprimised organic musicianship then head over today! Stay up to late on all my latest posts and videos on Instagram. Occasionally announcing killer beat deals and events. Feel free to reach out and say hi. Let me know if you have any questions or inquiries about beat purchase or trouble with the store/player. Look forward to hearing from you!